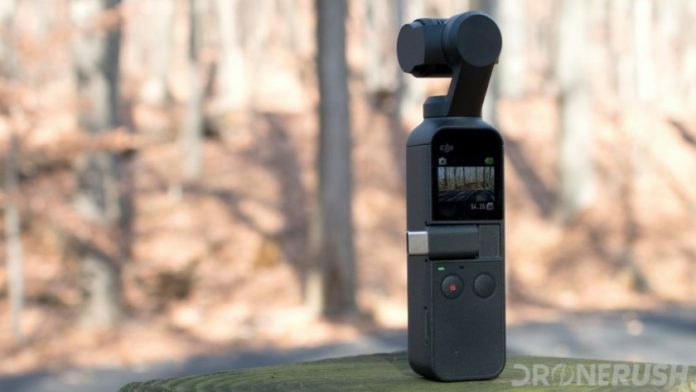 The DJI Osmo Pocket is a three-axis gimbal with a permanently attached camera sensor. When you connect the Osmo Pocket to your compatible smartphone, it becomes a fully-contained photography and filmmaking tool that literally fits in your pocket. If you’re a pro photographer or filmmaker, the Osmo Pocket isn’t going to replace your professional DSLR when you need ultra-crisp shots or cinema-quality video. However, whether you’re a pro or an amateur, the Osmo Pocket could easily convince you to ditch your prosumer video equipment since it does so much so well – with no gear bag needed. What is the DJI Osmo Pocket like? You might be familiar with the DJI Osmo Mobile line of smartphone gimbals. The Osmo Mobile line allows you to snap a smartphone onto the gimbal, connect the two devices wirelessly, and then get the smooth stabilization and tilt-and-pan techniques you need to create pro-quality video. 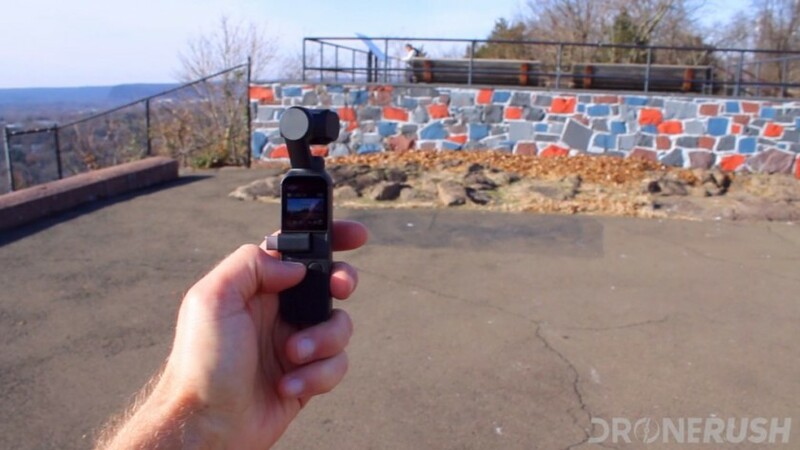 The Osmo Pocket is similar, except you’re not using your smartphone’s camera lens. In fact, you can utilize almost all the features of the Osmo Pocket without needing your smartphone on hand at all. On top of the Osmo Pocket is a 12MP, 1/2.3-inch CMOS sensor with a f/2.0 aperture capable of recording 4K video at a rate of 100Mbps. We’re not certain yet, but we’re pretty sure the camera is the same as what’s included with the DJI Mavic 2 Zoom drone. As such, you’re essentially getting a high-quality drone cam on a pocket-sized gimbal. With the DJI Osmo Pocket, you have all the benefits of a smartphone gimbal, but without needing a smartphone. On the front of the Osmo Pocket is a tiny, full-color touchscreen display, measuring one inch diagonally. You use gestures to navigate through the gimbal’s different settings and features. While it’s a little clunky to use, almost every major feature of the device is available through these gestures, which is a real treat. When you connect your smartphone to the Osmo Pocket using the swappable USB Type-C or Lightning connector (both included in the box), you get a much more easy-to-navigate interface through the DJI Mimo app. This not only makes changing settings and switching through the different modes much more intuitive, but it also opens up some additional features not possible with just the gimbal alone. What does the DJI Osmo Pocket do? If you use the Osmo Pocket to snap photos, your files will capture in JPEG or JPEG+RAW formats (however, you can only swap to RAW format using the DJI Mimo app). The images come out very good, considering the limitations of the device itself. For example, there is no ability to zoom, no ability to manually focus, and no flash. Just point-and-shoot. While the Osmo Pocket takes some decent photos, it’s very clear that DJI wasn’t focused on photography when designing the device. What the Osmo Pocket is really designed to do is shoot video, and there are tons of features geared to creating some really neat footage. You can create high-quality, stabilized video footage with the DJI Osmo Pocket, and easily share it through the DJI Mimo app. In addition to usual video features like slow motion, timelapse, and motionlapse, you can also use the gimbal to track faces and other objects. DJI’s FaceTrack feature automatically stays focused on your face when the gimbal is in selfie mode, and the ActiveTrack feature allows you to manually select what you want to track. There’s also a Story Mode feature, which allows you to quickly create on the fly 10- to 20-seconds-long montages, complete with editing and transitions, perfect for sharing to Instagram. Unfortunately, the Android version of the Mimo app did not have Story Mode active for this review. Should you buy a DJI Osmo Pocket? If you’ve never owned a mobile gimbal before, the DJI Osmo Pocket is the perfect device for you. It has all the features you would want from a gimbal while being both small in physical size and very straightforward to use, all at a reasonable price. If you own an old GoPro or similar action cam and are looking to upgrade, I would seriously consider ditching GoPro for the Osmo Pocket. It does pretty much everything the GoPro does but better, and also has features GoPros can’t offer. The DJI Osmo Pocket can do everything your GoPro can do and more, and is the ideal device for traveling videographers. If you already own a gimbal setup or are a professional videographer, the Osmo Pocket may not be something you need to buy. Really, the only thing the Osmo Pocket does that your current gear likely doesn’t is Story Mode. However, even if you already own the gear necessary to do most of what the Osmo Pocket does, you should consider the device anyway simply based on the fact that it’s so small. The Osmo Mobile line of gimbals or even the Osmo Plus are simply too big to put in your pocket, making the Osmo Pocket the ideal device for traveling. The DJI Osmo Pocket isn’t exactly cheap, but also isn’t exorbitantly overpriced, either. The gimbal alone will set you back $349, and it comes with a carrying sheath, wrist strap, Lightning and USB Type-C connectors, and a USB Type-C charging cable. The Osmo Pocket will begin shipping on December 15.